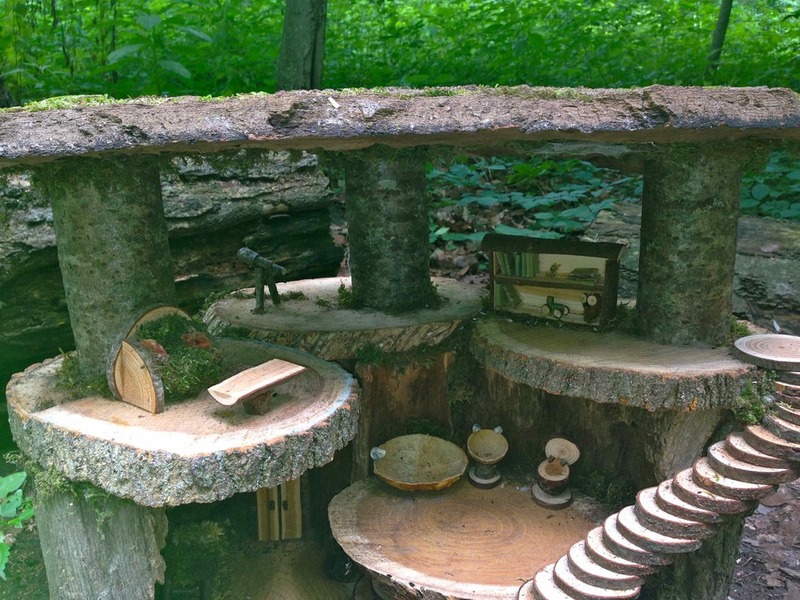 Walk the trails while touring custom built fairy and hobbit habitats, and then, using only natural materials and your imagination, create your own dwelling right on the forest floor! 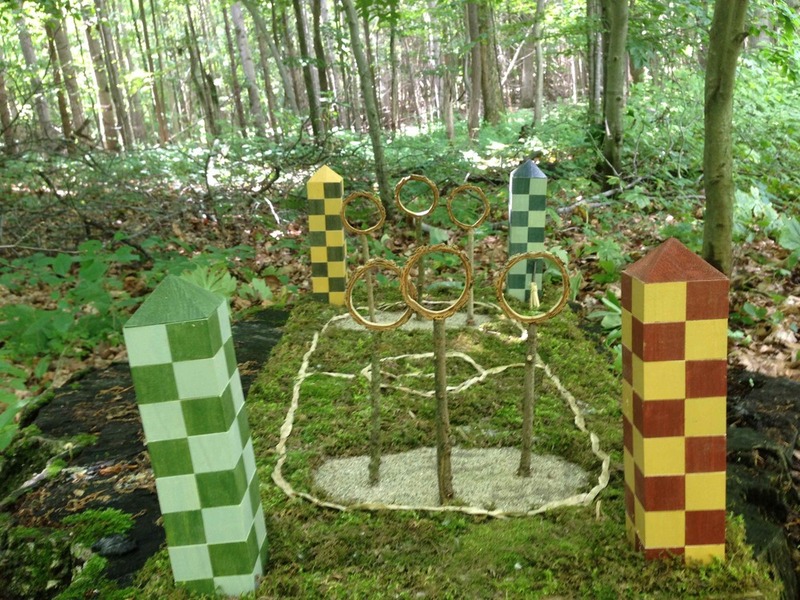 This is a creative and magical way to encourage kids and adults to enjoy the great outdoors. This is a fun event for the entire family. Show up anytime on October 3, 4, 10, or 11 between 10am-4pm, and stay as long as you like. Admission is just $5 per person, maximum $20 per family. We will also be open by reservation for field trips and large groups on weekdays surrounding the festival. Check out our Enchanted Programs flyer or contact Liz for more information. Come out, get creative, and celebrate the Summer Solstice with us by inviting the fairies to come bless the farm for the season! 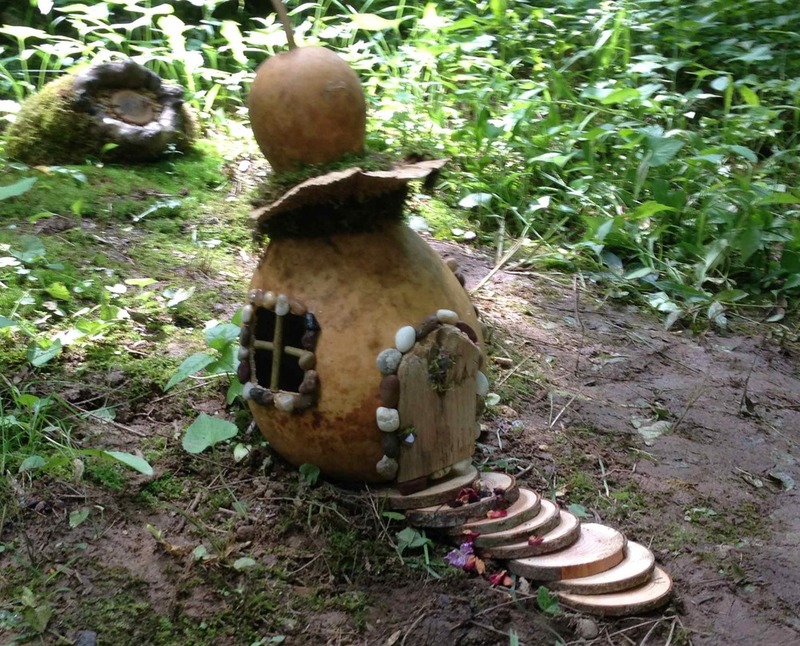 Walk the trails while touring custom built fairy and hobbit habitats, and then, using only natural materials and your imagination, create your own dwelling right on the forest floor! 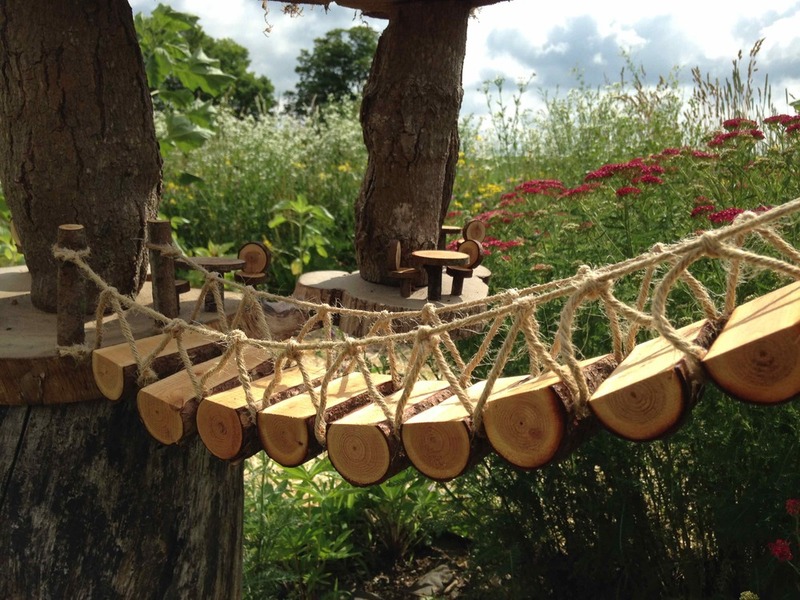 This is a creative and magical way to encourage kids and adults to enjoy the great outdoors. This is a fun event for the entire family. Show up anytime on June 20, 21, 27, and 28 between 10am-5pm, and stay as long as you like. Cost is $5 per person, maximum $20 per family. Christmas at Wings is the largest show that is held in Southwest Michigan. You certainly do not want to miss out on this show, for you will find those "one of a kind" items. Kids’ Art Fest is an outdoor art festival designed to embrace the creativity of children. Now in it’s 5th year, this free art celebration has everything from free expression art tables, to live performances, interactive dancing, games, music, and everything in between! 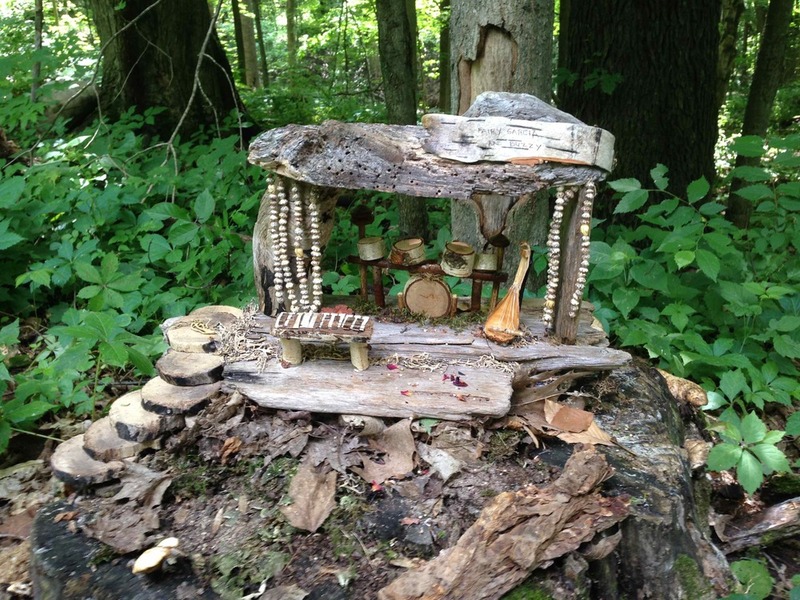 Kids’ Art Fest is held outside the Grand Rapids Children’s Museum in Veteran’s Park and Sheldon Ave.
We will be making fairy and hobbit houses using only natural materials! The hands-on making we will do together will spark your imagination and allow you to experience nature in a new way. The houses will stay at the library or at the Farm, where you can visit them again. You’ll go home with great ideas for building your own structure! All materials will be provided, but please feel free to bring natural treasures of your own for building and decorating with (leaves, pine cones, acorns, and more). All ages welcome. Participants will receive tickets to visit Fat Blossom Farm’s Enchanted Forest Festival on October 4-5 and October 11-12. 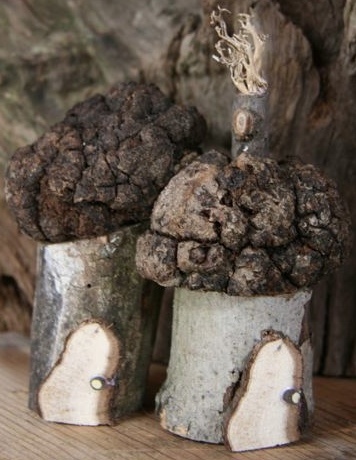 We will be making fairy and hobbit houses using only natural materials! The hands-on making we will do together will spark your imagination and allow you to experience nature in a new way. The houses will stay at the library or at the Farm, where you can visit them again. You’ll go home with great ideas for building your own structure! All materials will be provided, but please feel free to bring natural treasures of your own for building and decorating with (leaves, pine cones, acorns, and more). All ages welcome. Participants will receive tickets to visit Fat Blossom Farm’s Enchanted Forest Festival on October 4-5 & October 11-12. 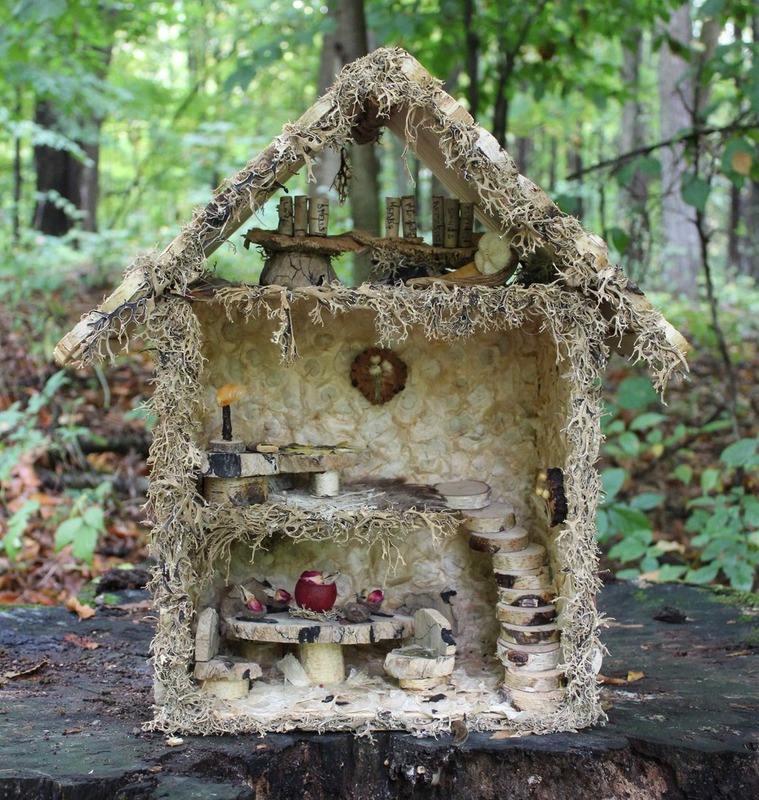 Build Your Own Enchanted Fairy House or Hobbit Habitat! 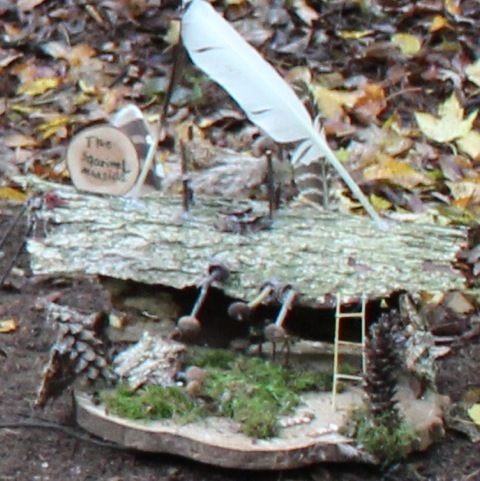 Come use your imagination and discover the fun of building Fairy Houses, Gnome Homes, and Hobbit Habitats! 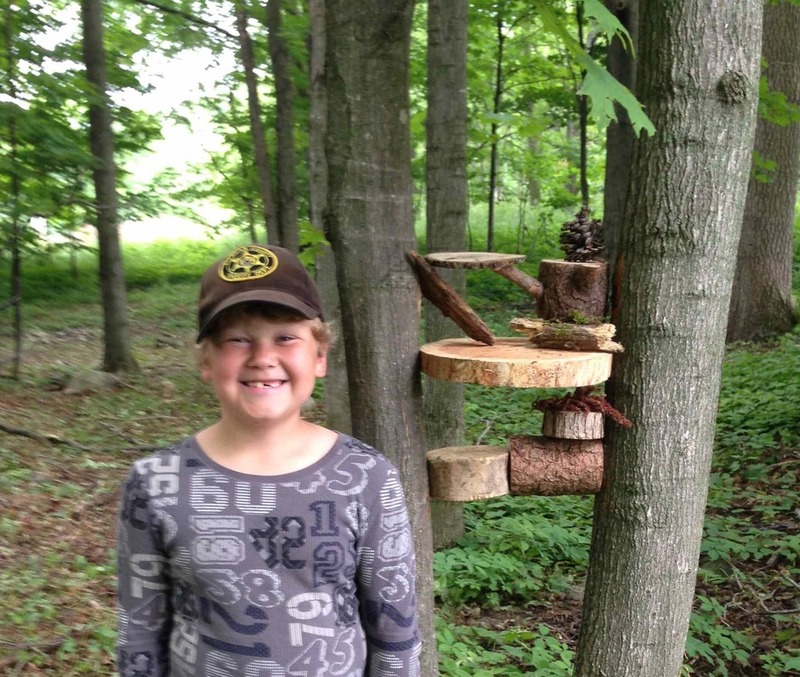 Instructors from Fat Blossom Farm will help to inspire and work with students using all natural materials to make their very own own of a kind structure. The workshop includes all the materials that need to make your own house and accessories. There will be bark, seeds, sticks, grasses and wood from the farm and participants are welcome to bring their own items collected from nature as well. After the workshop, you will be able to take your building home with you for further renovations and additions. The workshop is open to all ages and levels. Children under 11 will need adult supervision. Cost for the workshop is $20 per house. You can work together with your family or friends on the same house in groups up to four people. Please signup in the store to ensure we have enough space and materials for everyone to build. Participants will also receive tickets to visit Fat Blossom Farm’s Enchanted Forest Festival on October 4-5 and 11-12. 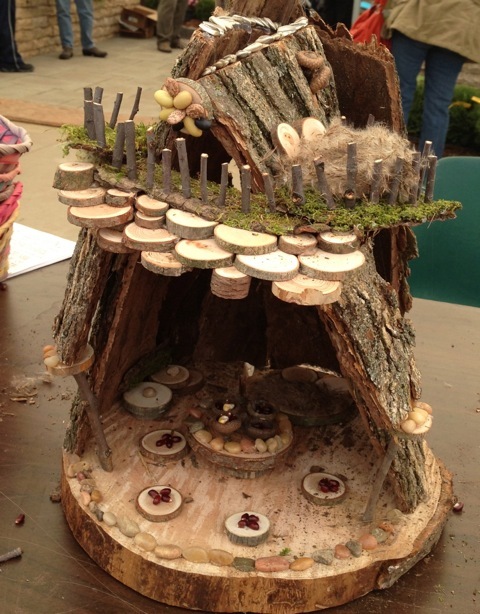 We will be building fairy houses and hobbit habitats at the Allegan County Early Childhood Carnival this year! This is a FREE activity and participants will receive tickets to visit Fat Blossom Farm's Enchanted Summer Festival on June 21-22 and 28-29. This is a fun family event for all Allegan County residents; enhancing the lives of our next generation. Presented for families with children ages birth to 5-years-old. Older siblings are welcome!! 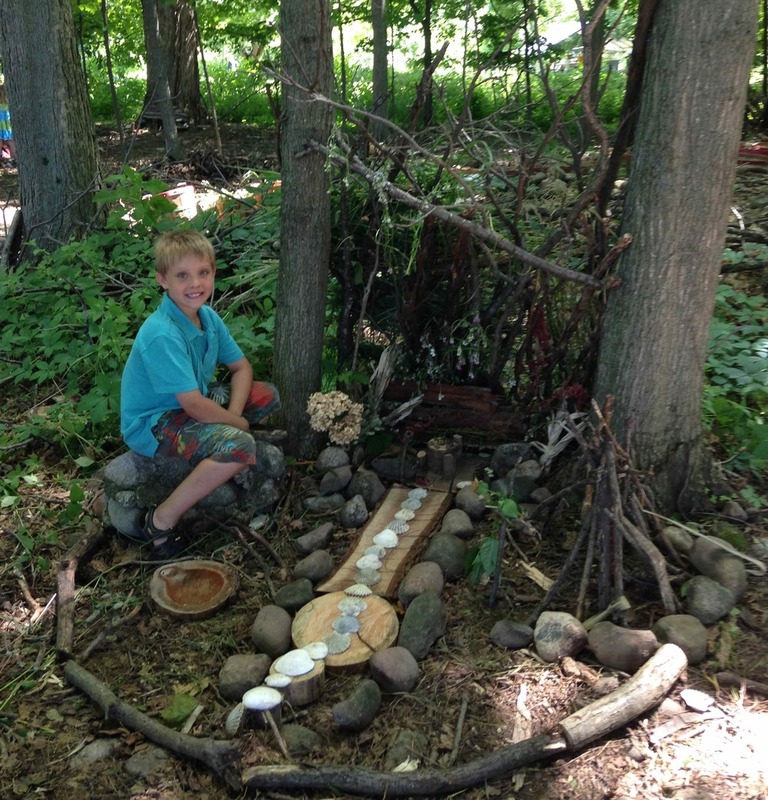 Help us build some fairy and hobbit houses for the Oshtemo library with Fat Blossom Farm from Allegan, MI. The hands-on making we will do together will spark your imagination. The houses will stay at the library or at the Farm, where you can visit them again. 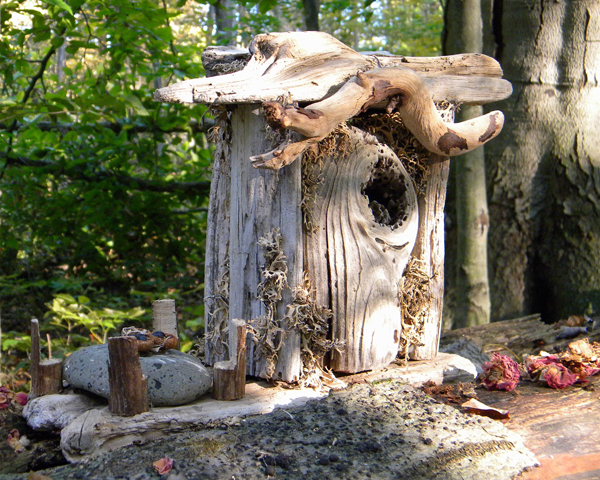 You’ll go home with great ideas for building your own fairy house! All materials provided. But please feel free to help gather pine cones, acorns, bark pieces, and other elements for embellishing if you wish. For ages 6-11 year olds and their adults. Registration required. Participants will also receive tickets to visit Fat Blossom Farm’s Enchanted Summer Festival on June 21-22 and 28-29. 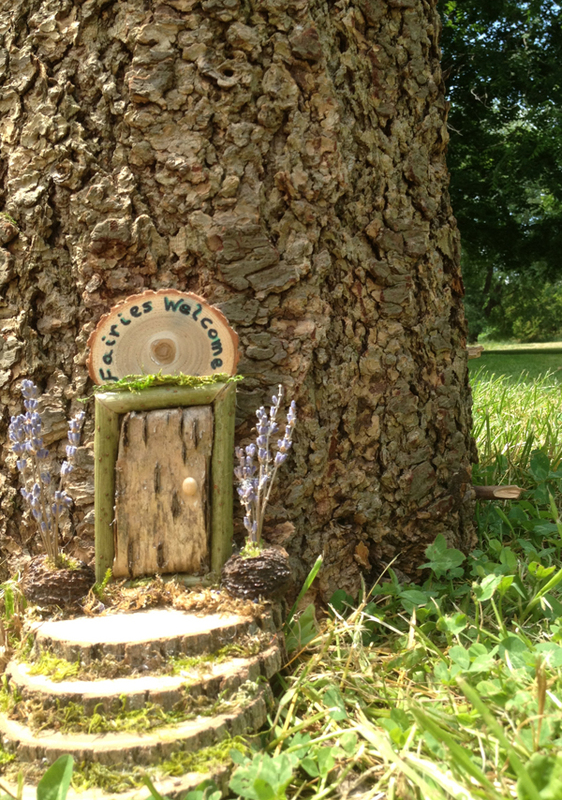 We will be building fairy houses and hobbit habitats in front of the V&A Bootery on Fri, June 6th from 5-8pm and on Sat, June 7 from 9am-5pm! This is a FREE activity and participants will receive tickets to visit Fat Blossom Farm's Enchanted Summer Festival on June 21-22 and 28-29. Art on the Mall is an event hosted by DKA Charities and Downtown Kalamazoo, Inc. The event is a two day fine arts and craft show that hosts about 85 booths. Art on the Mall is part of a weekend event called June Jubilee that includes the Kalamazoo Institute of Arts Art Fair, Dionysos Greek Festival, Art Hop, Kalamazoo Public Library Book Fair, Do-Dah Parade, and Concerts in the Park. On Saturday, May 17th, “What’s Blooming” moves outside taking over Harrison Street with the art fair and other Family Fun Activities. The festival runs from 10:00am – 8:00pm with the art fair ending at 7:00pm. A complete schedule of all the What’s Blooming on Harrison events will be announced in May. The Oak Park Arts District is located on Harrison Street, and spans the distance in the nine blocks west of Austin Boulevard. With a variety of galleries, specialty boutiques and unique restaurants, in addition to businesses that focus on the healing arts, this district is a rich, artistic and cultural shopping destination in Oak Park. May Fair is an open street festival celebrating the arrival of Spring with games, activities, music, food and fun for the whole community! The public is welcome to attend!! Come Celebrate with us! Free food and fun for all! Spend the afternoon at the intersection of Jarvis and Greenview in Rogers Park. Get your holiday shopping done at the annual artisans market which will be taking place at local businesses: Towbar, Poitin Stil, R Public House and Taste Food and Wine. Visit other local businesses to enjoy special day of discounts and events. You can end your day with a great meal, a great beverage or both! It is a great way to meet all your holiday shopping needs and support the Chicago artists community! Shop Jarvis Square started out as the side project Artisan Market ten years ago. Five years ago, several businesses joined the festivities turning it into SHOP JARVIS SQUARE. THIS YEAR, 2013, WE'RE 5! We are hosted by the side project theatre, Lakeside Treasures, LAMS Real Estate, V-Tone Fitness, Luzzat Restaurant, Rogers Bark, R Public House, Towbar, Poitin Stil and Taste. This year’s market features original handmade works from Chicago’s best artisans. You’ll find jewelry, fiber arts, sock monsters, papergoods, fashion accessories, photography and fine art. Click on each artists' name to learn more. We're even having a food drive! 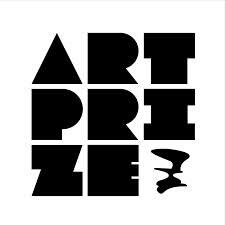 All forms of payment will be appreciated as some artists will not be able to accept credit cards! Join us and shop at 100+ vendors this holiday season!!! $1 admission or non perishable item will be donated to Community Actions House to help our community. Dose Market is an ever-changing, highly-curated marketplace designed to delight. Featuring the finest in food and fashion, meet extraordinary artists, artisans and entrepreneurs and try out and take home their products every Sunday, 10 a.m. to 4 p.m. We invite everyone to support those doing great things in our community: Get Dosed! ‘Tis the season of appreciation and celebration in the making of festive holiday decorations, presents and handmade crafts for gifting. Inspired by this year’s Holiday Fair theme, Simply Spirit, the Chicago Waldorf School is focused on the values of sharing and coming together in community for the spirit of the season. Over 30 vendors will sell special handmade crafts and artistic goods all day Saturday in an artisan’s marketplace. Additionally the fair is also offering a FREE Friday evening PARENT & ADULT ONLY shopping night from 6:30 to 9:30pm. While enjoying an evening of socializing, shop our wonderful Waldorf vendors (who have been selectively juried for their artisanal wares that align with the Waldorf tradition of handcrafting with natural materials and traditional processes). 1:00-2:00 pm- WALDORF STUDENTS play in orchestra, band, vocal ensemble and African drumming performances. In the Waldorf tradition that celebrates the value of “crafting” visit our Care to Share table, Children’s House(crafts for 6 yrs. old and under), our school photographer, Brian Warling, will shoot family portraits, there will be jump-rope making, candle-dipping, Waldorf Recycled, a dragon shoot and other favorites will all be there at the fair, along with much more, of course. Simple, delicious, nutritious, hot foods will be served in the gymnasium starting at 11:00am. Also in the gym and the back of the auditorium will be baked goods, which will be available ALL day, along with coffee, water and juice. The gym will be filled with plenty of tables and chairs for everyone to sit, relax and enjoy a meal or something sweet with their friends and family. Our children can run around while grown-ups can enjoy a second cup of coffee while seeing ambient presentations from the school’s Alumni Council and CWS Greenery Table! Every year, the Holiday Fair’s main goal is to be a friend-raiser. We invite the entire Chicagoland community to visit our school to witness the amazing spirit of Waldorf and the power and magic that happens when we work with head, heart, and hands. Our goal for Holiday Fair 2013 is to celebrate that spirit with as much simplicity and joy as we can! or please contact the Main Office at 773.465.2662 to pre-order tickets. Want to pre-order Holiday Greenery before the fair? See the Greenery Pre-Sale page for more details. 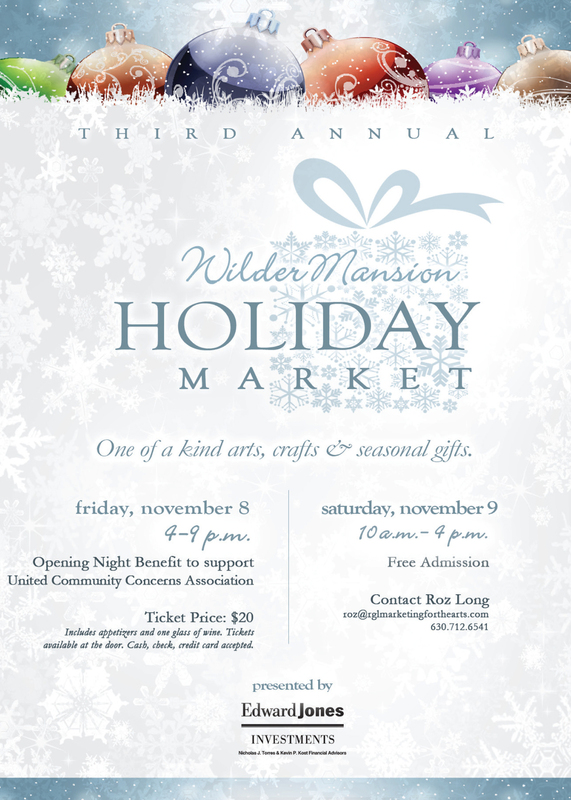 One of a kind arts, crafts + seasonal gifts, with over 40 artists and gourmet food vendors. Free admission on Saturday and $20 tickets for Friday's Opening Night Benefit to support United Community Concerns Association includes appetizers and a glass of wine. Click here for more information!